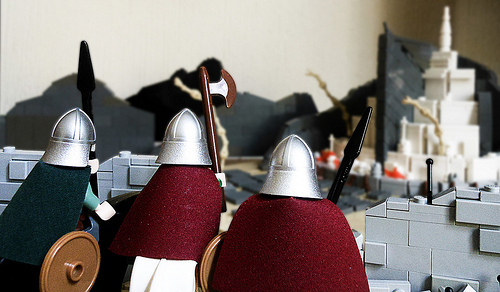 I’ve always thought that the majestic locations of Middle-earth would make for a great set of microscale dioramas. 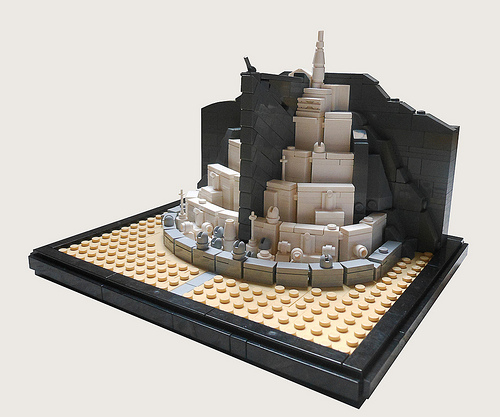 Last week, we featured George G’s Helm’s Deep, and today I’m pleased to highlight this beautiful Minas Tirith by diegoboy. I love the angling on the great stone outcropping in the center of the city, and parts like minifig ski poles and steering wheel bases add wonderful detail. Awesome! I’m really liking these micro builds. LOVE the forced perspective shot.